Another piece of our pinecone collections. The earrings derived beautiful form of nature pinecones, which design to two small size with connected to golden brass chains, so all comes in golden tone for gorgeous look. Measurements & Objects Info • The earrings approx. 1x1 cm. brass chain length 4 cm. 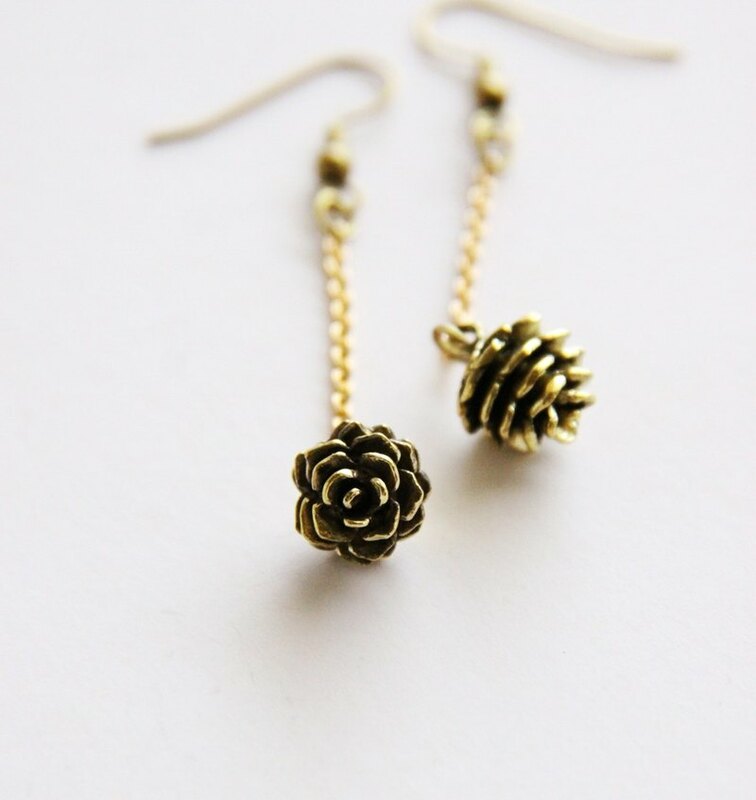 • Weight: 6 g. • Material: brass * The earrings wires in photos are used for photos shooting only. The new earring wires will come with the order. * Your item will arrive in our beautiful gift box.